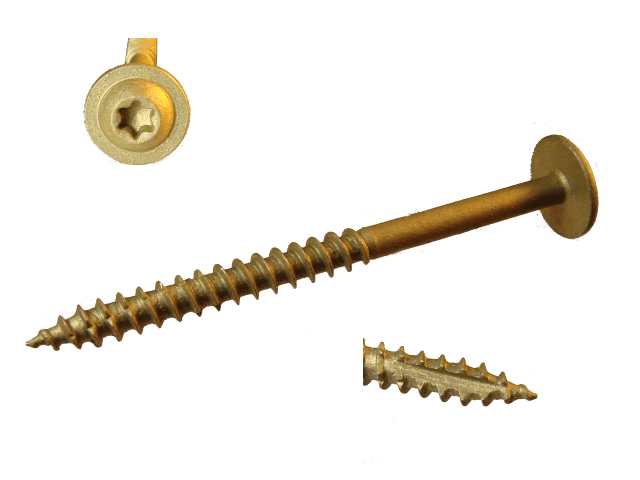 Bronze star low profile cabinet screws are an excellent choice for use in treated wood. These screws feature a modified truss head that eliminate the need for a separate washer. Bronze star screws work great with either hard or soft woods. They have a 1200 hour corrosion resistance in both ACQ and salt spray. And, these screws have outstanding abrasion resistance.